It's easy to spot a drunk at a restaurant or in a bar. They're typically loud, unsteady on their feet and either overly friendly or extra obnoxious. The signs are obvious. Not every driver exhibiting these dangerous behaviors is drunk, but why take your chances? A drunk driver can be unpredictable so it's best to steer clear. If you spot a driver you believe may be drunk, slow down or move over to give them plenty of room. If you have already been the victim of a St. Louis drunk driving accident, then you should talk to a skilled lawyer who can help you recoup damages for your injuries. 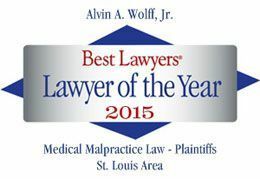 For a free consultation with an experienced St. Louis car accident attorney, or to order a free copy of our guide How to Pick a Lawyer, call 877-241-1020 today.